Last year for Valentine’s Day 2015 five heART shaped sculptures were placed around 4th Avenue, for lovers to attach their lock to them. Lots of loving couples did just do that, so the sculptures are mostly full of all types of metal locks, in different colors, shapes, some with decorations. See photo below. 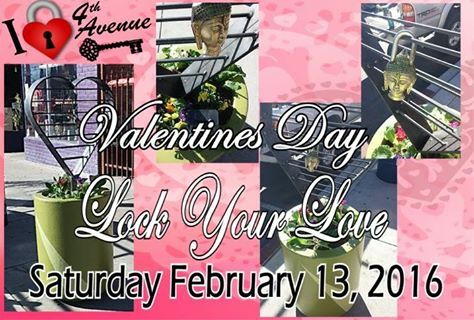 So if you want to “lock your love” on 4th Avenue, drop by that shopping/dining avenue this weekend and also check out the big bargains by the 4th Avenue Merchants. 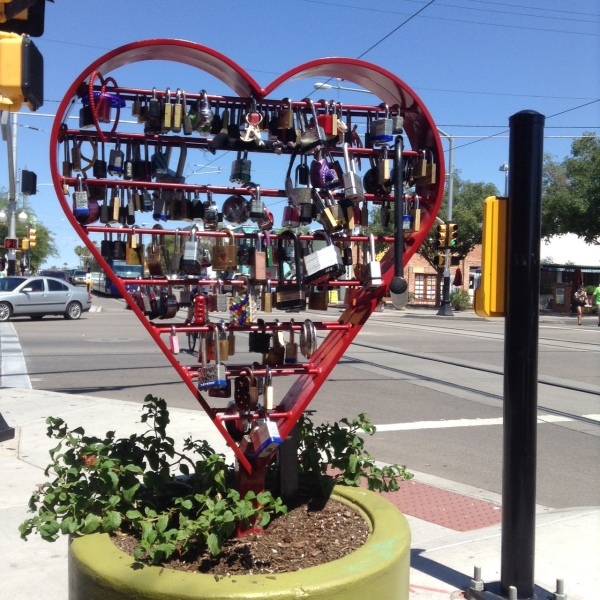 It’s fun to try to locate all 5 HeART sculptures too, scattered along 4th Avenue. 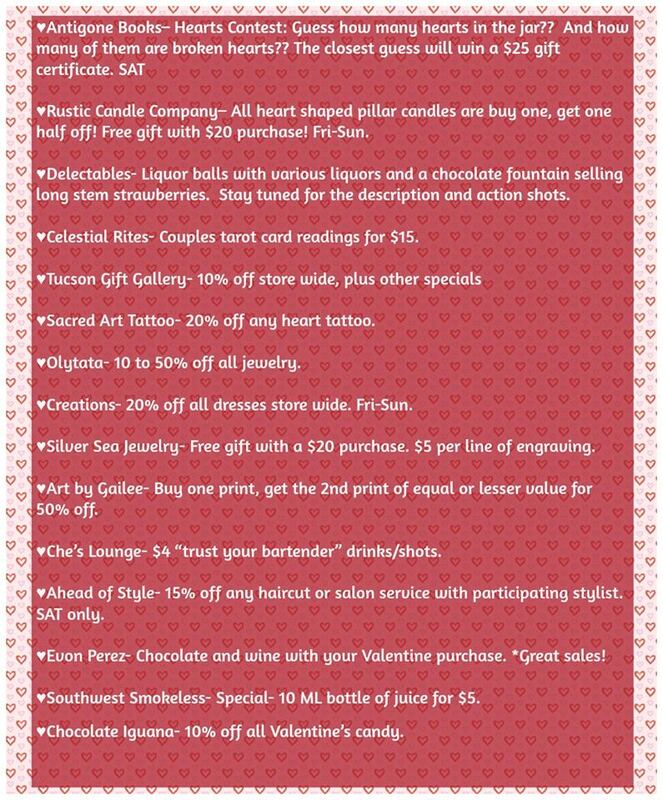 Happy Valentine’s Day on Feb. 14th. Although the winter here’s only one day old (it freeezs, it snows) I smile at your beautiful spring picture! Yes, its winter outside, here in Holland – but please: let it be spring in my heart. thanks for your comment Uriel. We have had record heat this February in Tucson, Arizona. It was a lovely day on Feb. 13 for this Lock Your Love event on 4th Avenue, one of our more unique shopping districts (close to Downtown).